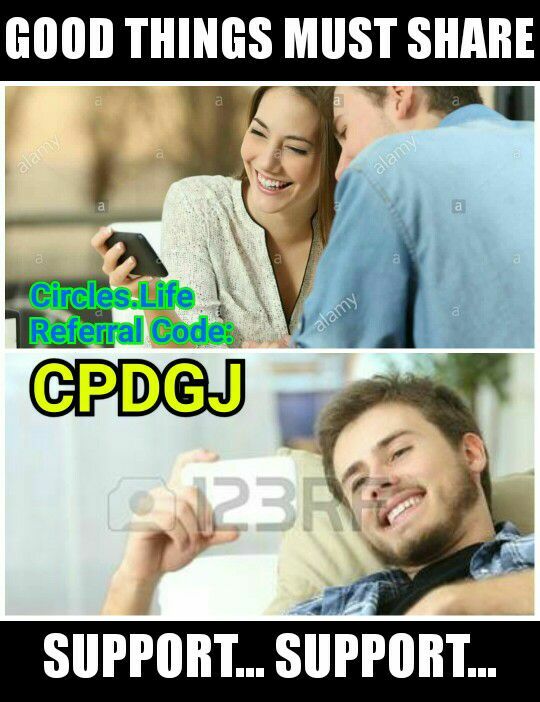 NOTICE: I would like to state it clearly before-handed that it is never my intention to make use of the gentlemen depicted below as any form of advertisement or whatsoever for the BOCAP. As the caps were given to them as a memento and keepsake out of my own will... Thank You. 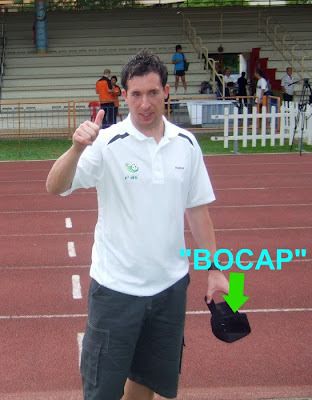 "Hope you find this cap (BOCAP) handy" I told Robbie Fowler (above) as handing over the cap to him while he was about to make his way of the football clinic last Saturday. 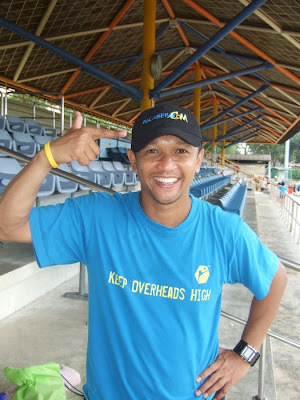 Many thanks to Fandi Ahmad for allowing me to snap this picture (above) after a short chit-chat with this boyhood hero of my.